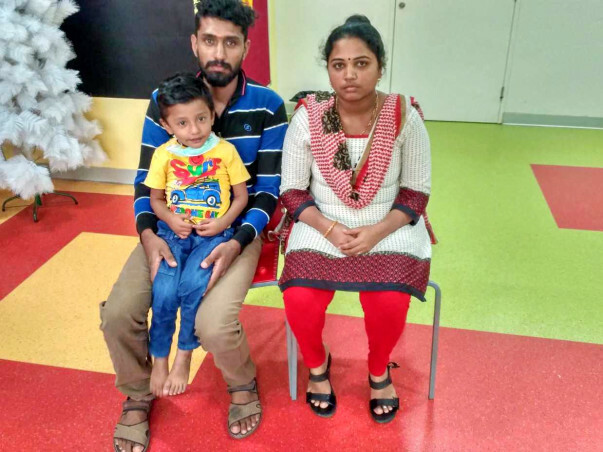 Since he was just three months old, 3-year-old Preetham, son of Madan, has been fighting a severe disease which causes cancerous tumors to develop in the liver. Preetham has been suffering ever since and his parents are now desperate to do everything it takes to save their son. The only treatment for Preetham is chemotherapy followed by a surgery to remove the tumor. 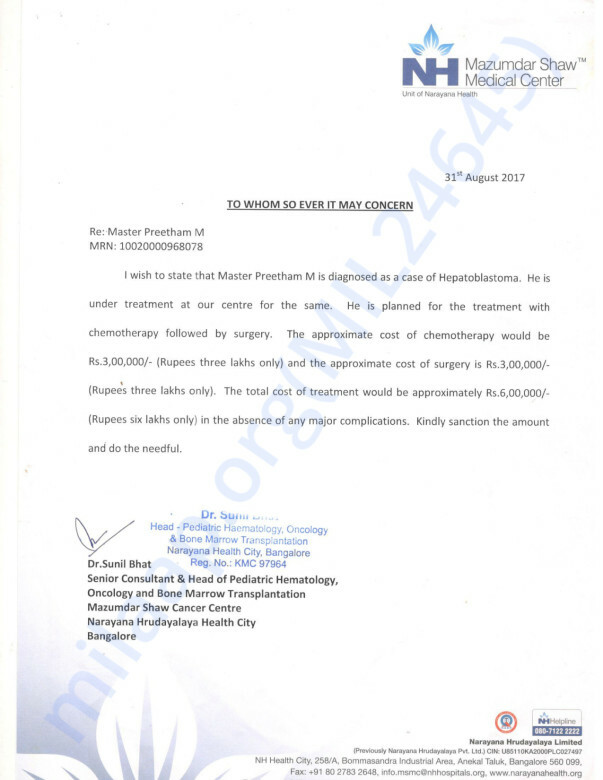 The total cost of this treatment is around 6 lakh Rs. Unfortunately, Preetham's parents do not have the funds to pay for this treatment and need our help. Your contribution can help Preetham undergo the treatment he deserves. Preetham is still undergoing chemotherapy and the doctors will schedule a bone marrow transplant once he's done with the chemotherapy treatment. He's doing better now. We are all hopeful about his recovery. Please keep praying for him. Thank you everyone once again! We shall keep you posted. Thank you for your love and support. This couldn't have been possible without you all. Preetham is currently undergoing chemotherapy. He has undergone 9 cycles of chemotherapy, post which he will be taken into surgery. Post the surgery, he will again undergo 3 cycles. He underwent a blood test and a scan to check for any recurrences. The reports are yet to come. He is now on medication. He feels much better than before and is active. If the tests show cancer recurring, then he will have to go for a liver transplant. We are all hoping everything goes well and he recovers soon. He will also be able to join school if the reports show improvement. Please keep praying for him. Here is an update on Preetham. Currently, he is at home and doing fine. Out of eight cycles, he has undergone one cycle of chemotherapy. There were minute side effects like fever and weakness. The next chemotherapy is scheduled on 24th January, 2018. Will keep you posted on the progress of his health. Thank you for your love and support. Please pray for his health.